Petri Heil - OnLine is a game-competition for true fishing fans. 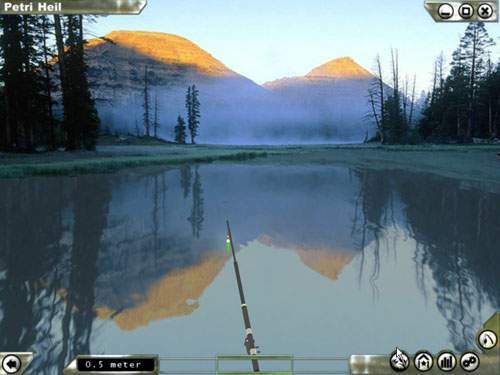 Enjoy New Version of intriguing and exciting fishing simulator. You may participate in international fishing competition without leaving your office desk or favorite armchair at home. Using 27 locations you will see the nature of different continents. The game will let you plunge into the fascinating world of sounds and music. 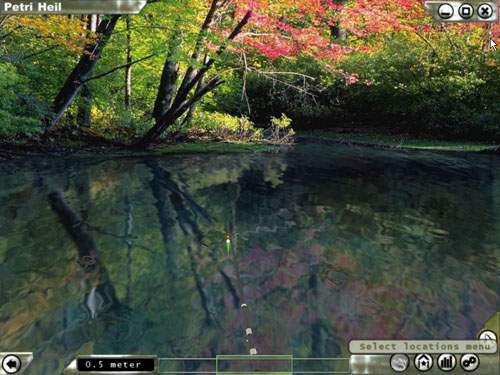 If you are deep into the game and can not quit working at PC, simply switch it to automatic mode. 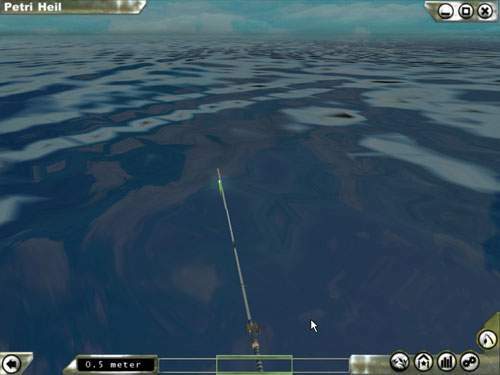 Petri Heil Online is designed as office game and you can play it both in Fullscreen and Window modes, you can also minimize it to an icon which will alert you when fish is biting. If you are lucky enough you will have a rare opportunity to get gold, silver and brilliant fishes (it’s quite difficult to catch them, but your efforts will be rewarded by an enormous number of scores!). If you catch a too heavy fish and feel you can not land it, just release all buttons, and the fish will leave the fish-hook without tearing the fishing-line. The game also provides such "wonders of Civilisation" as tins and torn boots.